There has been a great evolution in the development of coronary stents in order to avoid both restenosis and thrombosis. Improvements have led to improvements in the design and conformation of metallic or resorbable structures, with an adequate balance between trackability and radial force, the development of antiproliferative drugs and the polymers to control release and allow adequate endothelialisation and an optimal duration of the antiplatelet regimen. Some suggestions are provided about the ideal characteristics of future coronary stents. JTH is in receipt of an unrestricted grant from Boston Scientific and has received payments from Medtronic and Boston Scientific for sitting on advisory panels. DHL has no conflicts of interest to declare. When Andreas Grüntzig introduced balloon coronary angioplasty in 1977 it represented the first alternative to coronary artery bypass graft surgery. However, balloon dilatation had inherent limitations – including elastic recoil and vessel closure in the acute phase, as well as negative remodelling and restenosis in the late phase – which limited its applicability and further expansion. In the 1980s, bare metal stents (BMS) rapidly demonstrated superiority over balloon angioplasty, improving angiographic results and clinical outcomes. Despite these improvements, neointimal hyperplasia and restenosis continued to be major limitations of BMS technology. Drug-eluting stents (DES) were designed to minimise neointimal hyperplasia and reduce repeat revascularisation, but an increased risk of late stent thrombosis (ST) was observed with the first generation of devices. New DES have been developed to ensure good acute and long-term results while minimising stent thrombosis rate. Continuous innovation and research to improve all aspects of DES technology, such as platform material and structure, polymers, coating distribution, additional coating and antiproliferative drugs, have led to newer, improved generations of DES (Figure 1).1 In this article, we review the diverse features of current and future developments in DES. Current stent designs are based on a sequential-ring construction method consisting of a series of expandable Z-shaped structural elements (known as struts) joined by connecting elements (known as bridges, hinges or nodes). In closed cell designs, the adjacent ring segments are connected at every possible junction. This provides greater radial force and scaffolding uniformity but reduces flexibility and conformability – even with flexible bridge connectors – compared to an open-cell design where some of the internal inflection points are joined by bridging connectors.5,6 An open-cell configuration provides greater flexibility, adaptability and access to side-branches and has a higher resistance to fracture. All of the currently available stents are made by laser-cutting metallic tubes. Continuous sinusoid technology is a manufacturing method that folds a single strand of cobalt alloy wire into a sinusoidal wave, enabling greater deliverability and conformability to the vessel wall. It remains to be seen whether nanotechnology will make the design of stents with ultrathin struts feasible in future. In the near future, the use of different drugs or combinations of drugs with different actions may address not only intimal proliferation but also thrombosis and, in the long term, in-stent neoatherosclerosis (Figure 2). The durable polymers used in first-generation DES led to persistent arterial wall inflammation and delayed vascular healing, which contributed to stent thrombosis and delayed in-stent restenosis.15 Although the durable polymers currently used in DES are less thrombogenic than those used in first-generation DES, doubts remain about their safety in the long term. This is why a huge effort has been made to develop both biodegradable-polymer and no-polymer stents. Of the new generation of biocompatible durable polymer coatings, two stand out: vinylidene-fluoride hexafluoropropylene copolymer and C10–C19–polyvinylpyrrolidone polymer.18 Fluorinated copolymers such as vinylidene-fluoride hexafluoropropylene copolymer reduce protein adsorption, platelet adhesion and thrombus formation.19 The blend of three different polymers – C10, C19 and polyvinylpyrrolidone – acts as an amphiphilic molecule. Its hydrophilic components face the stent surface, which is in contact with the cells, so it does not induce activated monocyte adhesion. This improves the biocompatibility of the polymer blend. Polylactic (PLLA, PDLLA), polyglycolic (PGA) and polylactic-co-glycolic (PLGA) copolymers are widely used for drug delivery. They differ not only in how they release the drug but also how long they take to degrade. A copolymer’s total degradation period may vary from 3 to 15 months. Future research is needed to optimise the composition and pharmacokinetics of copolymers. Titanium nitride oxide can be used to coat all of the surfaces of a stent, resulting in the presence of nitric oxide particles. This nitric oxide coating is specifically active against restenosis and thrombosis, as well as being an accelerator of endothelialisation.31 This, and other nanotextured ceramic coatings, could be advantageous but the benefits remain to be proved.32 Some coronary stents characteristics are summed up in Table 1. Bioresorbable stent (BRS) technology has been called the fourth revolution in interventional cardiology due to its potential advantages.33 Apart from preventing acute vessel closure or recoil by transiently scaffolding the vessel, these fully-biodegradable scaffolds elute antiproliferative drugs that inhibit constrictive remodelling and neointimal hyperplasia. Complete resorption of the scaffold liberates the vessel from its cage and potentially restores vessel anatomy as well as vasomotor response, pulsatility, cyclical strain, physiological shear stress and mechanotransduction. In-stent restenosis secondary to low-grade inflammatory response to the polymer or device is mitigated. The risk of late or very late thrombosis is eliminated as the foreign material (platform plus coating) is replaced by connective tissue and the scaffolded segment healed with matured endothelium. The use of BRS could shorten the DAPT administration period and reduce complications due to secondary bleeding. Currently, there are many materials used as the backbone for scaffolding (Table 2). Magnesium alloys, PLLA and tyrosine polycarbonate are the most common. The bioresorbable vascular scaffold system (based on polylactic polymers) was the first to become commercially available and is by far the most widely used and tested (Figure 3). There are still many issues that lead the interventional cardiologist to be cautious about BRS. There are practical concerns about strut thickness (up to 170 μm), which may lead to vessel injury, rheological disturbances, platelet deposition and poor deliverability. Thus, mechanical considerations are more challenging, especially when calcification or tortuosity are present. To address this issue, new bioresorbable designs with thinner struts (about 100 µm) will become available soon.34 Regardless of lesion anatomy, due to lack of radial strength and poor deliverability in BRS, pre-dilatation is mandatory to facilitate lesion crossing and attain adequate expansion. Post-dilatation is also mandatory to ensure correct expansion and apposition. Defective healing and late adverse reactions may therefore not be completely avoided with the use of BRS. These technical particularities mean that the total cost and duration of percutaneous coronary intervention with BRS may be higher than with conventional DES. There are other drawbacks to BRS. The most challenging issue is the process of resorption and scaffold disintegration in human coronary arteries with atherosclerosis. There is an increased scaffold fracture risk with over-dilatation of BRS; thus, significant upsizing is impossible. Recently, scaffold collapse has been described in subacute and late coronary thrombosis.35,36 In addition to this, greater shear stress from the thick struts of current BRS may cause platelet activation. Observational findings from cases with very late thrombosis show the presence of largely dismantled scaffold remnants 2–3 years after implantation. These concerns have been confirmed clinically in trials. For example, there is a significantly higher risk of subacute and very late thrombosis with BRS compared to metallic everolimus-eluting stents.37 Although resorption is achieved after a relatively short period of time in some devices, others take over 24 months (Table 2), and so the optimal duration of DAPT in conjunction with BRS application is unclear. Having highlighted these issues, we think this technology is worth pursuing and hope that research will overcome most, if not all, of its limitations. Although considerable advances have been made, the ideal DES system has yet to be developed. The occurrence of stent thrombosis has accelerated technological evolution in interventional cardiology and the eradication of this fatal outcome should be the focus of new DES. The duration of DAPT for new DES could safely be shortened by up to 3 months in stable patients and 6 months in acute coronary syndrome patients who have a higher bleeding risk.39 For specific models, such as BioFreedom, the duration of DAPT could be shortened to 1 month with better results than a BMS.40 Other new DES are being evaluated in trials of 1 month of DAPT in patients with high bleeding risk. The safety and efficacy of contemporary stents are supported by evidence from clinical trials and registries; however, larger trials and longer follow-up are necessary to assess the effectiveness of novel devices. The risk of late thrombosis with first-generation metallic DES and the risk of early and very late thrombosis with BRS were not properly identified in the preclinical stages of research. Animal models’ ability to reveal the significant long-term limitations of devices implanted in diseased coronary arteries of humans is limited. The more complex the interplay between a device and arterial wall-plaque, the harder it is to predict the long-term effects in humans. From BMS to DES, and particularly to BRS, stents are increasing in complexity. Computational models based on finite element analysis could complement the animal data but new advances in animal models will be crucial. In summary, a validated and standardised set of preclinical studies is warranted before clinical studies of new stent models are conducted. Once a device is approved for use in humans, a well-designed programme of clinical studies is warranted before it is widely introduced on the market. Stefanini GG, Byrne RA, Windecker S, Kastrati A. State of the art: coronary artery stents – past, present and future. EuroIntervention 2017;13:706–16. Simon C, Palmaz JC, Sprague EA. Influence of topography on endothelization of stents: clues for new designs. J Long Term Eff Med Implant 2000;10:143–51. Kastrati A, Mehilli J, Dirschinger J, et al. Intracoronary stenting and angiographic results: strut thickness effect on restenosis outcome (ISAR-STEREO) trial. Circulation 2001;103:2816–21. Stoeckel D, Bonsignore C, Duda S. A survey of stent designs. Min Invas Ther Allied Technol 2002;11:137–47. Wholey M, Finol E. Designing the ideal stent. Endovascular Today 2007;6:25–34. Marx SO, Marks AR. Bench to bedside: the development of rapamycin and its application in stent restenosis. Circulation 2001;104:852–5. Stettler C, Wandel S, Allemann S, et al. Outcomes associated with drug-eluting and bare-metal stents: a collaborative network meta-analysis. Lancet 2007;370:937–48. Schomig A, Dibra A, Windecker S, et al. A meta-analysis of 16 randomized trials of sirolimus-eluting stents versus paclitaxel-eluting stents in patients with coronary artery disease. J Am Coll Cardiol 2007;50:1373–80. Xue L, Sharma R, Cochran K. Effects of rapamycin derivative ABT-578 on canine smooth muscle cells and endothelial cell proliferation. Preclinica 2004;2:451–5. 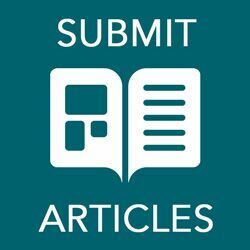 Klawitter J, Nashan B, Christians U. Everolimus and sirolimus in transplantation – related but different. Expert Opin Drug Saf 2015;14:1055–70. Grube E, Buellesfeld L. Everolimus for stent-based intracoronary applications. Rev Cardiovasc Med 2004;5:S3–8. Costa R, Lansky A, Abizaid A. Angiographic results of the first human experience with the biolimus A9 drug-eluting stent for de novo coronary lesions. Am J Cardiol 2006;98:443–6. Abizaid A, Costa JR Jr, Feres F. TCT-429: Single center, first-in-man study of the elixir novolimus eluting coronary stent system with durable polymer 24-month clinical safety and efficacy results. Am J Cardiol 2009;104:158D. Joner M, Finn AV, Farb A, et al. Pathology of drug-eluting stents in humans: delayed healing and late thrombotic risk. J Am Coll Cardiol 2006;48:193–202. Puranik AS, Dawson ER, Peppas NA. 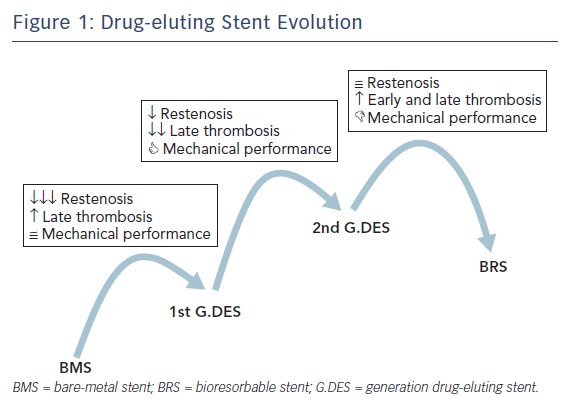 Recent advances in drug eluting stents. Int J Pharm 2013;441:665–79. Serra A, Miranda F, Venegas R. Análisis y características de los stents farmacoactivos disponibles en la actualidad. Futuros desarrollos. Rev Esp Cardiol Suplementos 2007;7:8E–28 [in Spanish]. Mori H, Gupta A, Torii S, et al. Clinical implications of blood-material interaction and drug eluting stent polymers in review. Expert Rev Med Devices 2017;14:707–16. Szott LM, Irvin CA, Trollsas M, et al. 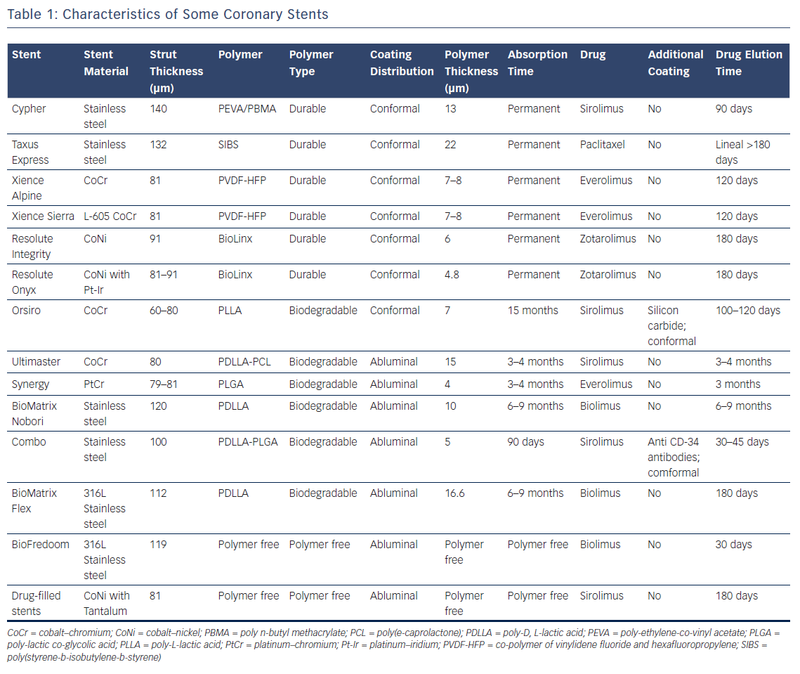 Blood compatibility assessment of polymers used in drug eluting stent coatings. Biointerphases 2016;11:029806. Raungaard B, Christiansen EH, Bøtker HE, et al. Comparison of durable-polymer zotarolimus-eluting and biodegradable-polymer biolimus-eluting coronary stents in patients with coronary artery disease: 3-year clinical 0utcomes in the randomized SORT OUT VI trial. JACC Cardiovasc Interv 2017;10:255–64. Byrne RA, Iijima R, Mehilli J, et al. Durability of antirestenotic efficacy in drug-eluting stents with and without permanent polymer. JACC Cardiovasc Interv 2009;2:291–9. Kalra A, Rehman H, Khera S, et al. New-generation coronary stents: current data and future directions. Curr Atheroscler Rep 2017;19:14. Sharma A, Hai O, Garg A, et al. Duration of dual antiplatelet therapy following drug-eluting stent implantation: a systematic review and meta-analysis of randomized controlled trials. Curr Probl Cardiol 2017;42:404–17. Costa RA, Abizaid A, Mehran R, et al. Polymer-free biolimus A9-coated stents in the treatment of de novo coronary lesions: 4- and 12-month angiographic follow-up and final 5-year clinical outcomes of the prospective, multicenter BioFreedom FIM clinical trial. JACC Cardiovasc Interv 2016;9:51–64. McGinty S, Vo TT, Meere M, et al. Some design considerations for polymer-free drug-eluting stents: a mathematical approach. Acta Biomater 2015;18:213–25. Worthley SG, Abizaid A, Kirtane AJ, et al. First-in-human evaluation of a novel polymer-free drug-filled stent: angiographic, IVUS, OCT, and clinical outcomes from the RevElution study. JACC Cardiovasc Interv 2017;10:147–56. Dahm JB1, Willems T, Wolpers HG, et al. Clinical investigation into the observation that silicon carbide coating on cobalt chromium stents leads to early differentiating functional endothelial layer, increased safety and DES-like recurrent stenosis rates: results of the PRO-Heal Registry (PRO-Kinetic enhancing rapid in-stent endothelialisation). EuroIntervention 2009;4:502–8. Visconti G, Focaccio A, Tavano D, et al. The CID Chrono cobalt-chromium alloy carbofilm-coated coronary stent system. Int J Cardiol 2011;149:199–204. Nakazawa G, Granada JF, Alviar CL, et al. Anti-CD34 antibodies immobilized on the surface of sirolimus-eluting stents enhance stent endothelialization. JACC Cardiovasc Interv 2010;3:68–75. Karjalainen PP, Nammas W. Titanium-nitride-oxide-coated coronary stents: insights from the available evidence. Ann Med 2017;49:299–309. Karimi M, Zare H, Bakhshian Nik A, et al. Nanotechnology in diagnosis and treatment of coronary artery disease. Nanomedicine (Lond) 2016;11:513–30. Wykrzykowska JJ, Onuma Y, Serruys PW. Vascular restoration therapy: the fourth revolution in interventional cardiology and the ultimate “rosy” prophecy. EuroIntervention 2009;5:F7–8. Boeder NF, Dörr O, Bauer T, et al. Impact of strut thickness on acute mechanical performance: A comparison study using optical coherence tomography between DESolve 150 and DESolve 100. Int J Cardiol 2017;246:74–9. Braun D, Baquet M, Massberg S, et al. Collapse of a bioresorbable novolimus-eluting coronary scaffold. JACC Cardiovasc Interv 2016;9:13–4. Ruiz-Salmerón RJ, Pereira S, de Araujo D. Bioresorbable vascular scaffold collapse causes subacute thrombosis. J Invasive Cardiol 2014;26:98–9. Sorrentino S, Giustino G, Mehran R, et al. Everolimus-eluting bioresorbable scaffolds versus everolimus-eluting metallic stents. J Am Coll Cardiol 2017;69:3055–66. Thakkar AS, Dave BA. Revolution of drug-eluting coronary stents: an analysis of market leaders. Eur Med J 2016;4:114–25. Valgimigli M, Bueno H, Byrne RA, et al. 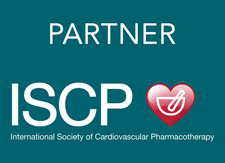 2017 ESC focused update on dual antiplatelet therapy in coronary artery disease developed in collaboration with EACTS: The Task Force for dual antiplatelet therapy in coronary artery disease of the European Society of Cardiology (ESC) and of the European Association for Cardio-Thoracic Surgery (EACTS). Eur Heart J 2018;39:213–60. Garot P, Morice MC, Tresukosol D, et al. 2-year outcomes of high bleeding risk patients after polymer-free drug-coated stents. J Am Coll Cardiol 2017;69:162–71.